Lance Gill is an industry leading educator and coach and is one of the most sought after global speakers in the areas of player development, movement restoration, physical screening and fitness protocols. Lance is owner and President of LG Performance in Oceanside, CA specializing in the betterment of golfers through Assessment Screening, Fitness Programs, Biomechanic Evaluation, Mental & Life Coaching, Nutritional Programming and Medical Rehabilitation. 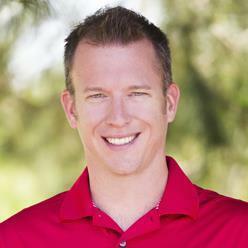 Additionally, Lance coaches numerous professional golfers across multiple global tours. Lance is also the Co-Director of TPI's Fitness Advisory Board and serves as Lead Instructor for TPI Level 1 and Level 2 Fitness Seminars globally. Lance served as the Performance Director for TPI for more than 10 years and oversaw the development of PGA, LPGA, EPGA, Web.com, Symetra, Challenge Tour, KPGA, JPGA, KLPGA, JLPGA, and Latin America Tour players, as well as multiple National Federation Teams. Lance received his Bachelors Degree in Kinesiology from Shenandoah University in Winchester, Virginia. He went on to earn a Masters in Sports Medicine from the University of Pittsburgh, where he worked in the NMRC (Neuromuscular Research Lab) funded in part by Greg Norman. He was also one of the lead diagnosticians at Clubgolf Performance Center in Washington DC for over 4 years.